Give your home decor a nautical vibe with this impressive porthole style wall mirror. Finished in a rustic black, this will make an ideal bathroom mirror or display in the living room or hallway to add an industrial feel. Perfect for the modern, contemporary or industrial styled interior. 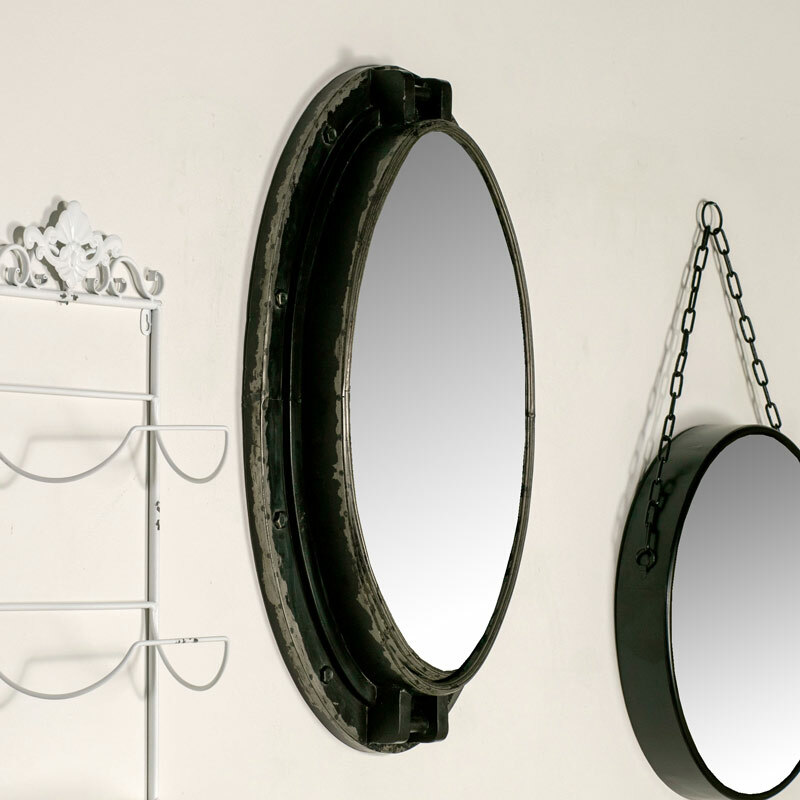 Sturdy metal frame in a distressed black finish, the mirror comes in a large oval shape. This is a mirror that will make a dramatic statement wherever it is placed. Oozing plenty of style, this is a mirror that will help to achieve that nautical, industrial feel to any home. 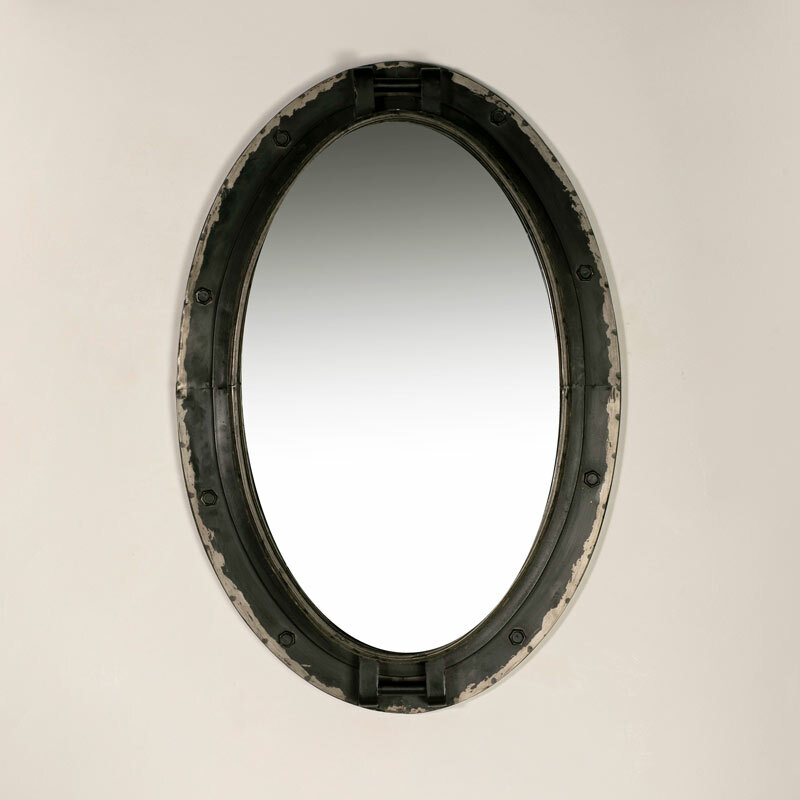 Give your home decor a nautical vibe with this impressive porthole style wall mirror. Finished in a rustic black, this will make an ideal bathroom mirror or display in the living room or hallway to add an industrial feel. Perfect for the modern, contemporary or industrial styled interior. Sturdy metal frame in a distressed black finish, the mirror comes in a large oval shape. This is a mirror that will make a dramatic statement wherever it is placed. Oozing plenty of style, this is a mirror that will help to achieve that nautical, industrial feel to any home.